It's time to crown a new Miss Industry! 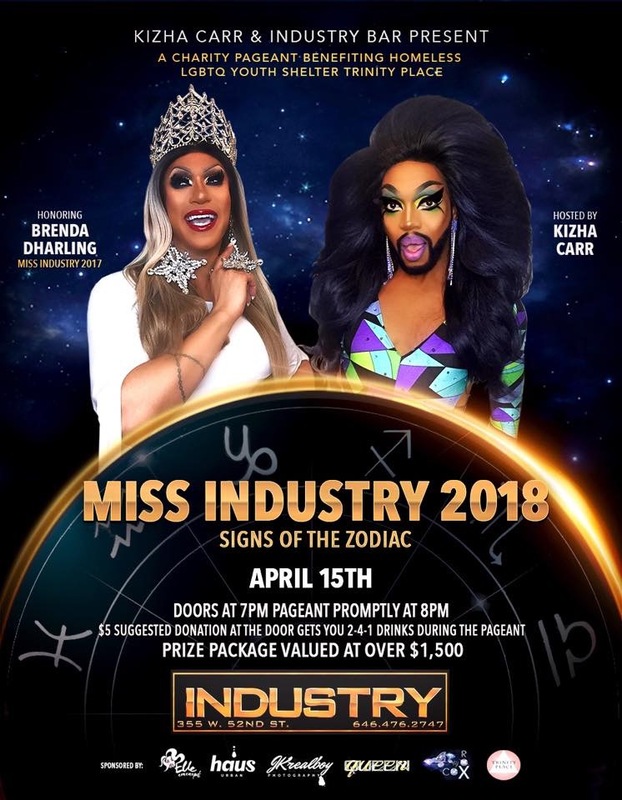 The Miss Industry "Fan Favorite" award goes to the girl who raises the most money for Trinity Place Shelter prior to and the night of the pageant. Show your support for your favorite contestant Queen and help keep Trinity Place Shelter going strong! Let's raise a lot of money for the Trinity Place Shelter for homeless LGBTQ Youth! CATEGORIES: Presentation, Talent, Evening Gown, Onstage Q&A (Top 4). $5 Suggested Donation for admission!! !